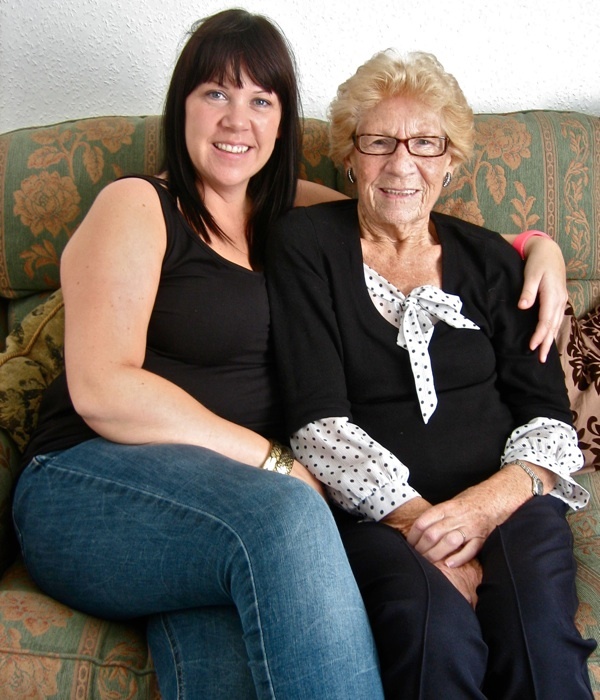 Linda Hayes wrote with the sad news that her mother Glenys Bristow died aged ninety-five last Sunday. Today we celebrate the life of a woman of astonishing resilience who lived and worked in Spitalfields during the Second World War. When I met Glenys Bristow, she did not live in Spitalfields anymore but in a well-kept flat in a quiet corner of Bethnal Green. Glenys might never even have come to Spitalfields if the Germans had not dropped a bomb on her father’s cafe in Mansell St, down below Aldgate. In fact, Glenys would have preferred to stay in Westcliff-on-Sea and never come to London at all, if she had been given the choice. Yet circumstances prevailed to bring Glenys to Spitalfields. 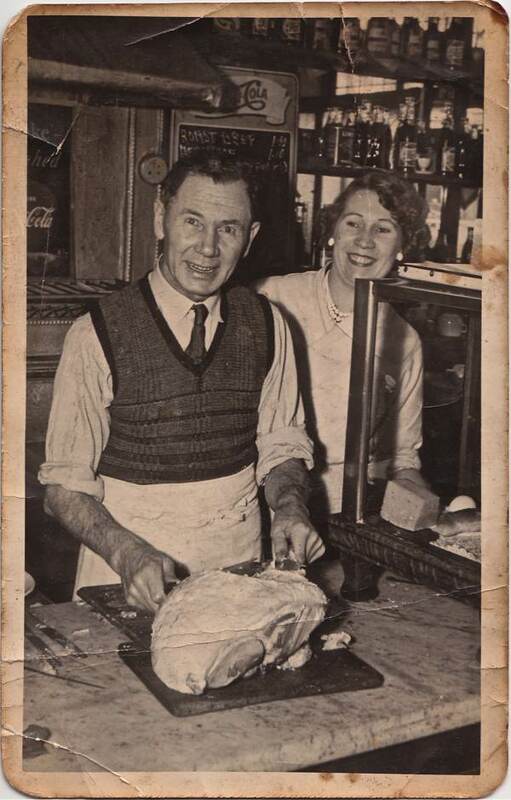 And, as you can see from this picture taken in 1943 – in the cafe she ran with her father opposite the market – Glenys embraced her life in Spitalfields wholeheartedly. “I came to London from Westcliff-on-Sea when I was fifteen. I didn’t like London at all. At first we were in Limehouse, I walked over to Salmon Lane and there was Oswald Mosley making a speech to his blackshirts. The police told us to go home. I was sixteen and I missed Westcliff so, me and my friend, we took a job in a cafe there for the Summer. We were naive. We weren’t streetwise. We didn’t have confidence like kids do today. 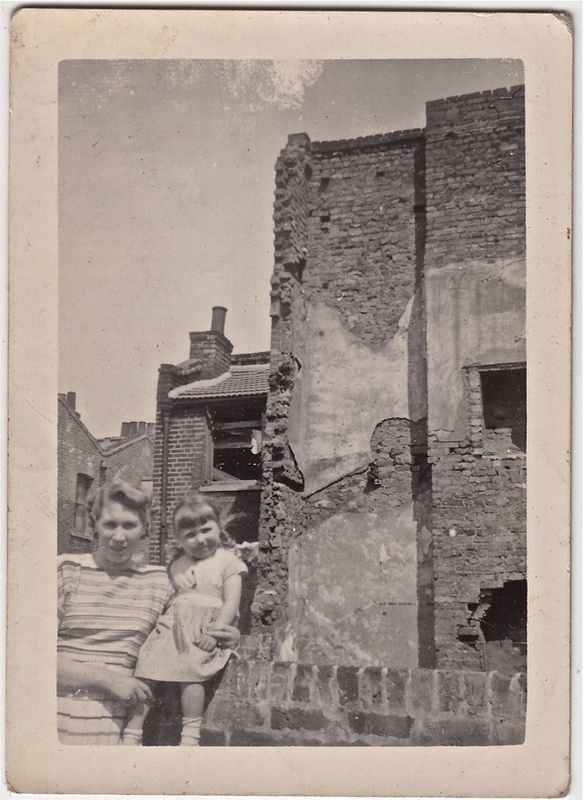 The family moved to Mansell St where had a cafe – our first cafe – and we lived above it. My father’s name was Arnabaldi, I used to hate it when I was at school. My father always wanted to have a cafe of his own. His father had come over from Italy and ran a shop in Friern Barnet but died when my father was only eleven, and my father told me his mother died young of a broken heart. 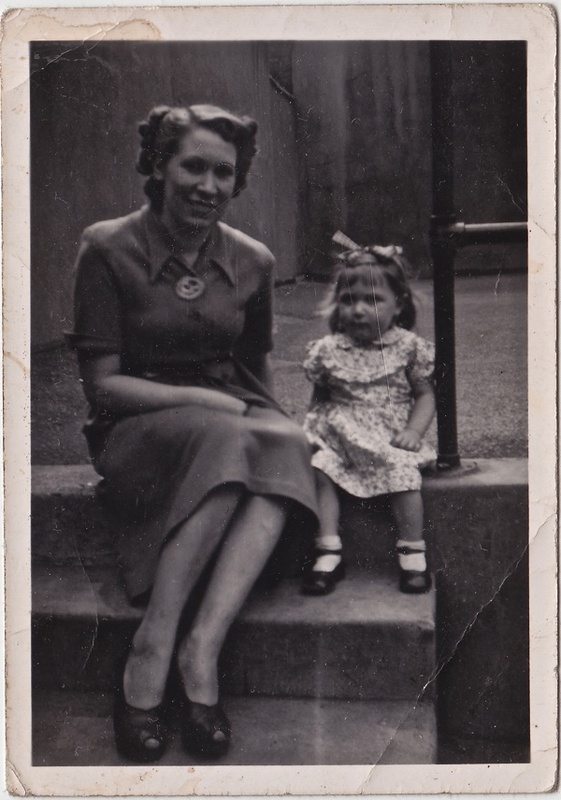 Glenys got married at eighteen years old at Arbour Sq Registry Office when Jack was enlisted.”We didn’t know if we were going to be here from one day to the next,”she told me, describing her experience of living through the blitz, suffering the destruction of her home in the bombing and then finding herself alone with a baby while her husband was at war. “In late 1942, my father got the cafe at 100 Commercial St, Spitalfields, and I was living in a little house in Vallance Rd and had my first baby John and he was just eleven months old. My father bought the cafe and he arranged for me to stay in the top floor flat next door at 102, Commercial St. We just had two rooms above some offices with a cooker on the landing and a toilet. When the air raid sirens went, I didn’t want to get out of bed so my dad fixed up a bell on a string from next door. I used to wrap my baby in an eiderdown and wait until the shrapnel had stopped flying before I went out of the door into the street to the cafe next door. I did a bit of everything, cooking, serving behind the counter. People came in from the Godfrey & Phillips cigarette factory, the market and all the workshops. The fruit & vegetable market kept going all through the war but, because of the blackout, it started later in the night. We were lucky being close to the market, we were never short of anything. At the end of the war, Jack came back and worked for my parents until, after a few years, the lease on the cafe ran out and we had to give it up. In 1956, we rented a little cafe in Hanbury St that belonged to the Truman Brewery, but we were only there three years before we had to move again because they had expansion plans. We bought the cafe opposite where Bud Flanagan had been born and called it Jack’s Cafe. And we were there from 1960 until 1971. Because of the market, we had to have dinner ready to serve at nine in the morning, and again from twelve ’til two. Nothing was frozen, everything was cooked daily and Jack used to buy everything fresh from the market. They said we had the best and the cleanest cafe in the Spitalfields Market, and a lot of our customers became friends. My daughter met her husband there, he was a porter – his whole family were porters – and my son went to work as a porter, he was called an empty boy until he got his badge. I just took it for granted. We used to open at half past four in the morning and I used to try and get cleaned up by half past six at night. It was very hard. Eventually, we sold it because I had back trouble and my husband bought a couple of lorries. In 1976, we moved from Commercial St to Chicksand St. I had four children altogether, only three that lived. Glenys Bristow was a woman of astonishing resilience, possessing quick wits and a bright intelligence. Random events delivered her to Spitalfields in wartime, where she found herself at the centre of a lively working community. Losing everything when the bomb fell on her father’s cafe, and living day-to-day in peril of her life, she summoned extraordinary strength of character, bringing up her family and working long hours too. Glenys had no idea that she would live into another century, and enjoy the advantage of living peacefully in Bethnal Green and be able to look back on it all with affection. 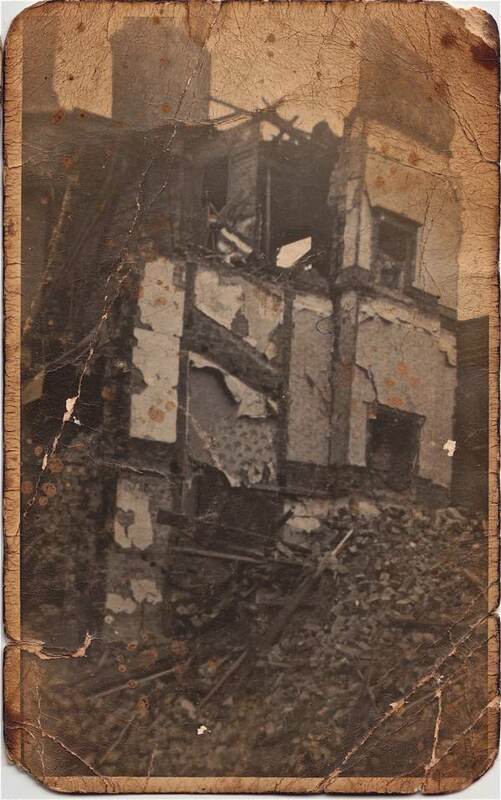 Glenys’ home in Mansell St after the bomb dropped in 1940. 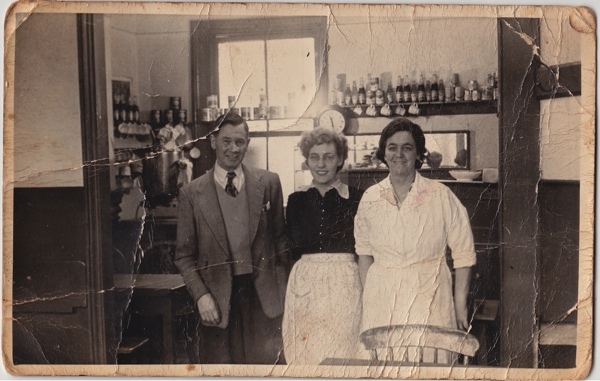 At the cafe in Mansell St.
Glenys and Linda visit the site of the former cafe in Mansell St, 1951. 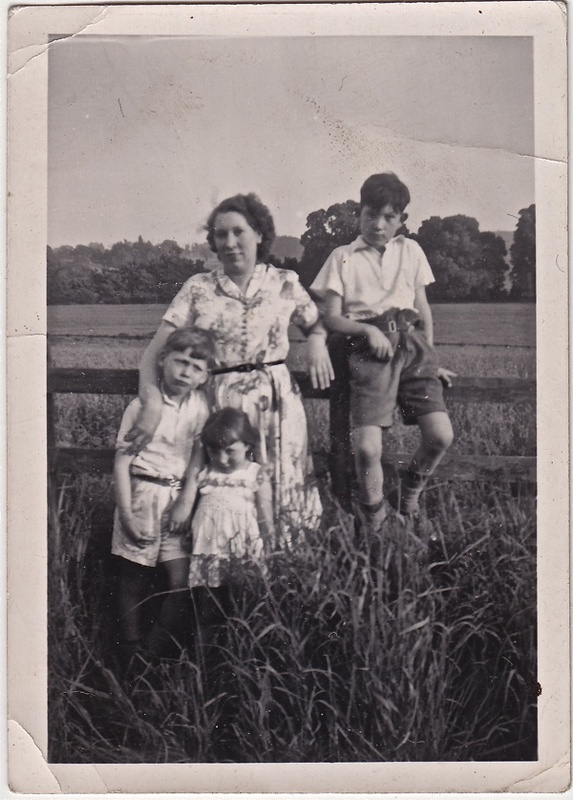 Glenys with her children, John, Linda and Alan. Glenys and her husband Jack with their first car. 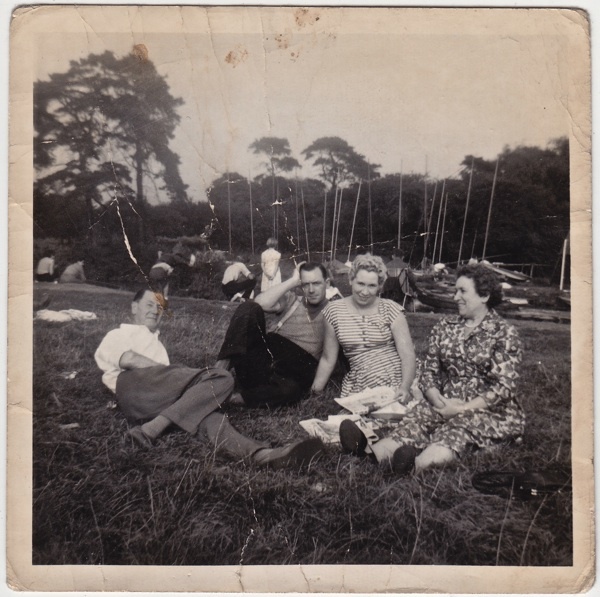 Stan, Jack, Glenys and her mother Anne on a day trip to Broxbourne. 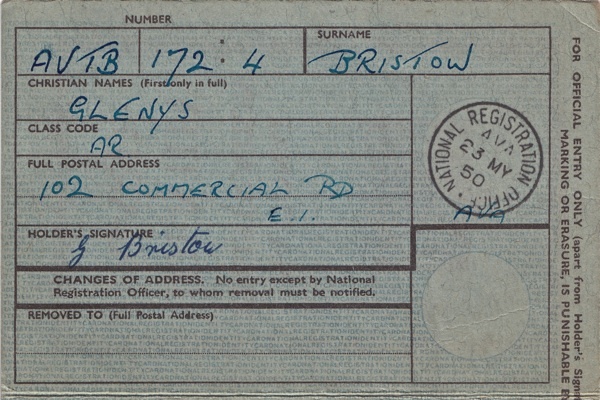 Glenys’ identity card with Commercial Rd mistakenly substituted for Commercial St.
Glenys with her granddaughter Sue Bristow. A lovely lady, and another reminder of how easy the majority of us have had it, though things seem to be slipping once more – I wouldn’t want to be a teenager coming to London today, as Gelnys once did. 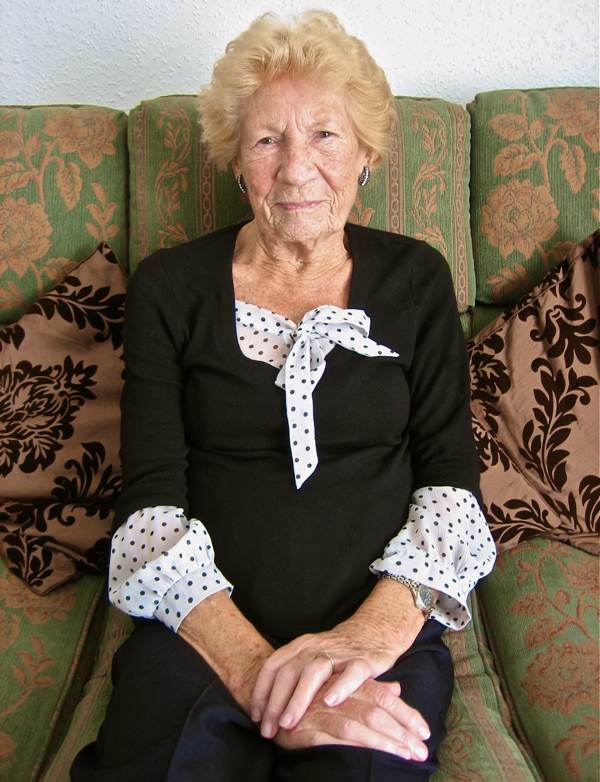 A lovely lady, and another reminder of how easy the majority of us have had it, though things seem to be slipping once more – I wouldn’t want to be a teenager coming to London today, as Glenys once did. Thankyou for submitting this, such a lovely story. What a wonderful woman! Thank you for these extraordinary stories about ordinary folks. Fascinating stuff. A wonderful commemoration of a gracious lady — and a bygone time. I can only imagine. True grit and tenacity — wonderfully captured here. My dad is still alive at 96 and would have been a contemporary of Glenys….he joined the war effort in 1941 from the Republic of Ireland. 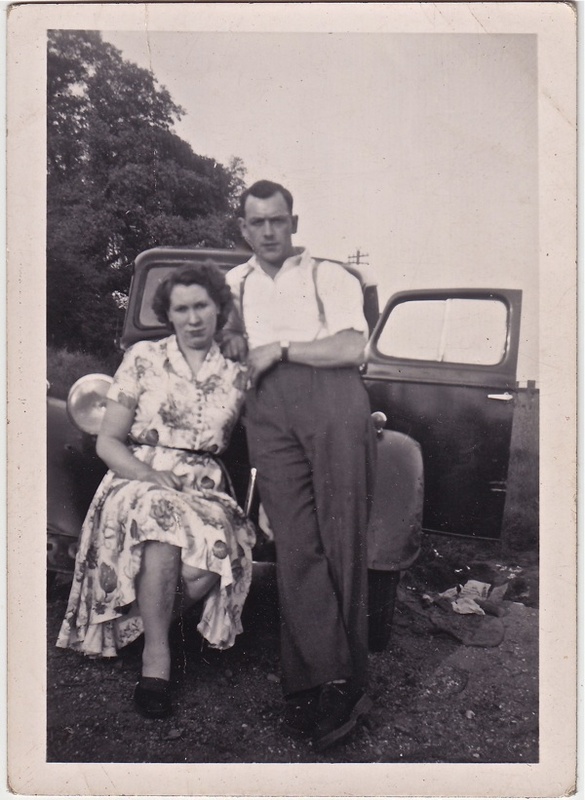 He never went back after the war as he married my mum in 1947….we all moved to Canada in 1956 and that is where he still lives in a retirement home now. It is wonderful reading about the people of that era still living and hearing about their experiences. A resilient generation of people they truly were and still are. Mrs Glenys Bristow (1922-2017) — R.I.P.